length check | Relaxed. Transitioning. Natural. Beautiful. My biggest hurdle in the last year has been keeping my hair hydrated. (The struggle is real!) The year-round humidity I have to constantly battle has been brutal. Even in the height of winter, where I live, humidity can be in the mid 90s! Although I edged past shoulder length a while ago, the discovery that I live in a hard (to very hard) water area, has been enlightening, to say the least. For instance, it has at least armed me with the necessary information to understand why I experienced so many single strand knots (SSKs), dry ends (regardless of daily moisturizing), and hair breakage (despite a commitment to only using direct heat on my hair twice or thrice a year, max). I experienced quite a bit of breakage due to the hard water in my area. As a result, I also had to trim my hair excessively (more than normal) to prevent additional damage. So, I was basically only able to maintain my length from last year, which means, essentially, I broke even … no loss … no gain … I just maintained my length all over. Cayenne Pepper Oil Treatment: FAIL! I have been reading dozens of posts over the last several months about oil infused with cayenne pepper being used to grow hair. Of course, I was immediately intrigued. LOL! I did some research and there seemed to be mixed reviews. Proponents of the oil exclaimed that it helped to propel their hair growth and, in some cases, even grew hair where it once was bald. Others claimed that it made their scalps burn, their hair shed excessively, and caused extensive breakage. There also seems to be some confusion over the proper application. There are two opposing viewpoints: (1) apply the cayenne-infused oil to the scalp, massage the scalp for 1-2 minutes, leave the oil in for 2-3 hours, and co-wash it out, or (2) apply the oil to the scalp, massage the scalp for 1-2 minutes, and leave the oil in, without rinsing out until your normal wash day. The negative testimonials really scared me. However, I couldn’t find many who had used the cayenne-infused oil that had posted before and after pics. So, naturally, I was still curious! Well, curious AND cautious. In fact, it took me a month to garner the courage necessary to even take the oil out of the shoe box in my closet … and probably another 2 weeks to decide to use it! 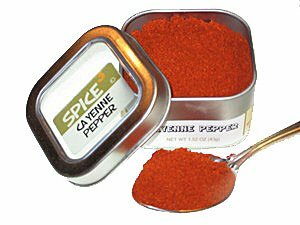 Add 4 tsp of cayenne pepper to any container with a lid. You can use a funnel to avoid wasting any cayenne or making a mess. Add 4 oz. (½ cup) of any oil(s) of your choice. 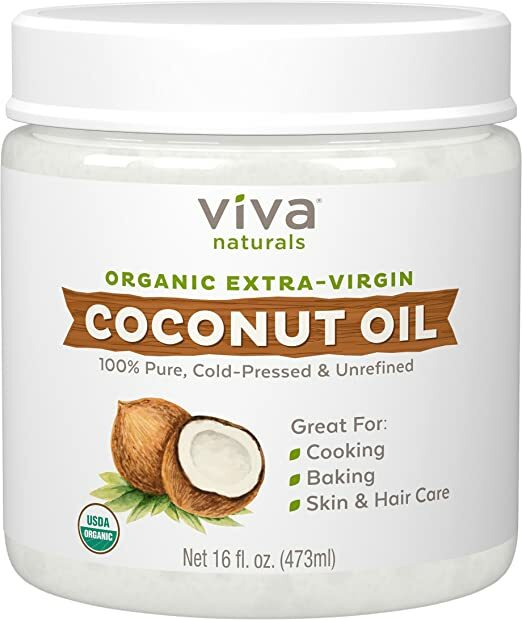 I used a 50:50 ratio of organic extra virgin coconut oil and extra virgin olive oil. Add ½ tsp. vitamin e oil (to prevent rancidity). Seal container and keep in a cool, dark area that won’t be exposed to light. I kept my oil container in a shoebox in my closet. When ready to use, strain the mixture into an applicator bottle. Shake the applicator bottle prior to each use. 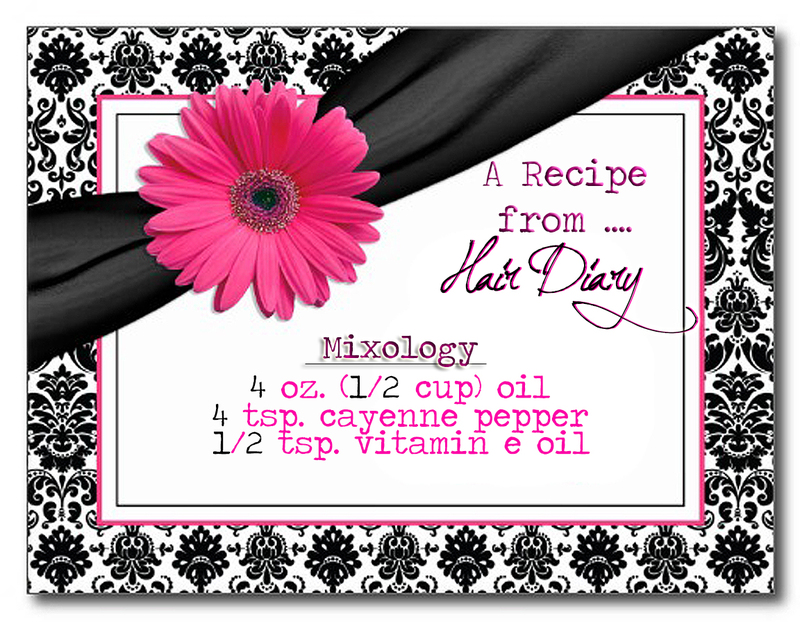 Apply sparingly but directly to the scalp every night and massage for 1-2 minutes. Avoid contact with your eyes (unless you enjoy pain)! Do a “patch test” prior to use to make sure that you ARE NOT allergic and can handle the potency level. For some, cayenne pepper can cause skin irritation. So, if you have sensitive skin, DO NOT use any oil infused with cayenne pepper. To my surprise, the cayenne pepper oil DID NOT burn or irritate my scalp AT ALL. The first few days, I felt a very slight tingle that was barely noticeable. After that, I pretty much felt absolutely nothing. I used the cayenne pepper oil for two weeks straight while using the GHE five nights a week. I left the oil in my hair each night until my weekly wash. My scalp and hair never felt oily. If anything, it felt like the cayenne pepper oil dried out my hair a bit. Week three, I didn’t use the oil or the GHE at all because I had family coming into town for a week, and I was worried that applying cayenne pepper oil every day and using the GHE would ruin my hairstyle (i.e., prevent it from lasting 7 days). Week 4, I used the cayenne pepper oil while doing the inversion method. As you can see, I only received about a 1/2″ of total growth over the course of a month, and that’s with me doing the inversion method. I gained pretty spotty growth from the inversion method while using the cayenne pepper oil (my worst to date while using this method)! While I am grateful the cayenne-infused oil didn’t burn or irritate my scalp, or cause extensive breakage, it didn’t exactly encourage any hair growth either. In fact, I think it stunted (or at least stalled) my hair growth during the month. 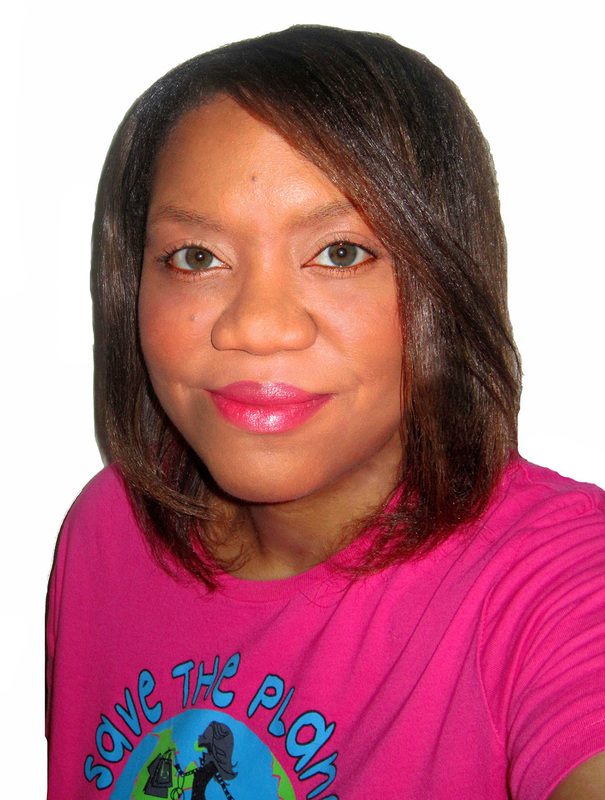 My hair in the front is about 1/4″ shorter than last month (from 9.25″ to barely 9.0″). So, I had some minor breakage there. However, I maintained my length on the side of my hair that I gained in the first three weeks of the month (at 9.25″). And, I gained a 1/2″ in the back of my hair from last month (from 8.5″ to 9.0″). Not sure if the cayenne pepper oil caused the stunted growth and minor breakage, or if the inversion method simply exacerbated the problem, or if it’s all of the above, but I’m convinced that the GHE saved my hair from breaking off excessively and becoming damaged. So, no more cayenne pepper oil for me! Truth be told, I’m feeling a little silly for tripling the recipe and making 12 ounces of oil. Sigh … But, I’m not one to be wasteful. So, I plan to add a teaspoon or two of cayenne pepper oil to my weekly cholesterol treatment when I deep condition my hair to help me use up my remaining oil. Waste not, want not! 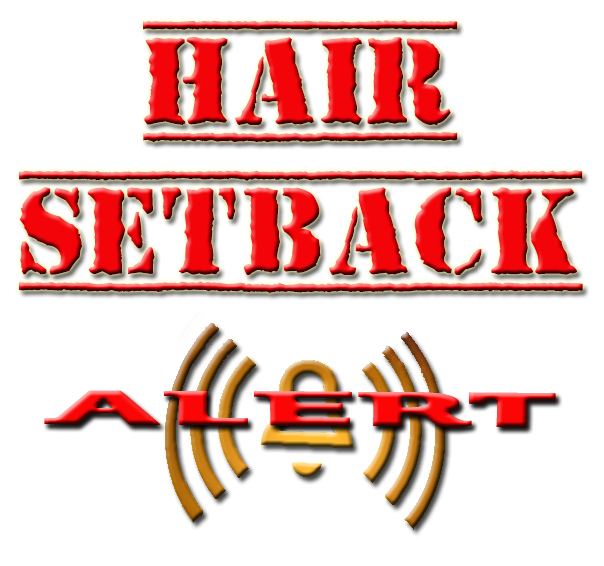 HAIR SETBACK ALERT: What Do You Do When Things Don’t Go as Planned? Well, things have been going swimmingly since I went natural. I have been natural for eight months now and, so far, my hair has been growing slightly faster than average. And, I have also been maintaining my length successfully each month. I have had no major hair setbacks … until now … Sigh. Lately, I’ve been noticing a lot of hair fall: excessive shedding, single strand knots, more hair in my sink, etc. I didn’t pay too much attention to it until after 4-5 weeks, and I realized that my hair was a tangled mess and was still shedding excessively. It also didn’t appear to be growing. Even though I wear my hair in its curly/coily state 95% of the time, I usually can tell each month whether my hair has grown at least a half-inch before I pull out my measuring tape. Well, this month, for the first time, I couldn’t! I started to worry, but I told myself it was my overactive Alice-in-Wonderland-sized imagination. But, when I measured my hair in various places all over my head, the immutable truth stared back at me in the mirror … I had lost a 1/2″ of growth. 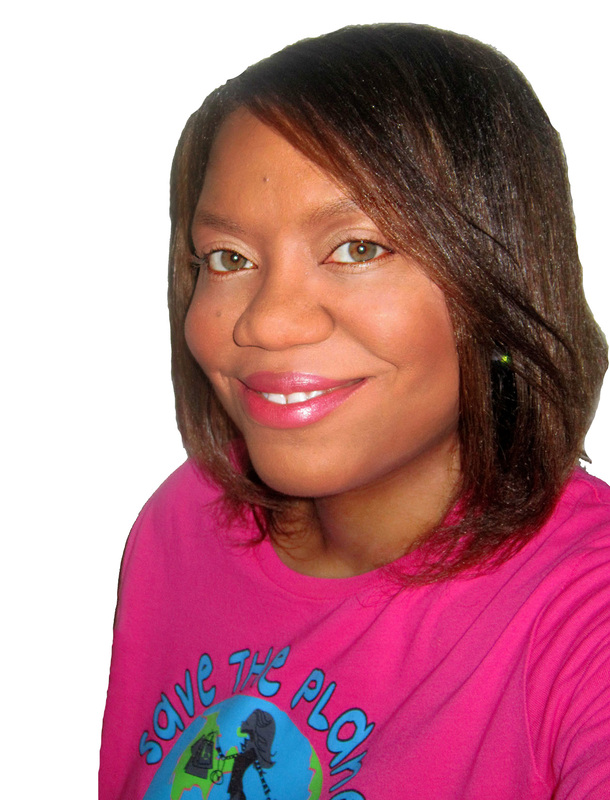 My hair went from 6.5″-7.0″ to 6.0″-6.5″! I felt angry and confused. I wracked my brain to try to figure out the cause but, like most things, this didn’t happen overnight. I analyzed and reanalyzed my routine, and I realized that for the last month, I hadn’t been following my routine. Heck, I hadn’t been following ANY routine! I recently found out that my mom has stage one kidney disease. That, on top of some other ailments, had left her completely demobilized. So, my sister and I have been sharing the responsibility of taking care of her around-the-clock while my dad is at work. I hadn’t realized, until now, that I had only deep conditioned my hair ONCE in the last month. I normally deep condition my hair ONCE A WEEK! I hadn’t been moisturizing and sealing my hair properly. I hadn’t been doing much of anything (in regards to my hair). And, to make matters worse, I haven’t been getting proper sleep. Honestly, given all the stress I’ve been under, it’s a wonder I still have hair on my head! I’ve been neglecting my hair, to say the least, which left my tresses parched, lackluster, and broken. My first order of business (after a five-minute pout session)? You guessed it! I ran to my beauty cabinet to grab my deep conditioner. I added some grapeseed oil and rosemary essential oil, and liberally slathered it on every strand. Then, I sat under my hooded dryer with a conditioning cap for 30 minutes. I usually only sit under the dryer for 20 minutes, but I figured my hair could use a little extra love. Thankfully, after rinsing out the conditioner, my hair was 100% revived. It instantly felt tangle-free and strong. I think my coils drank every drop of that deep conditioner. LOL! After that, I moisturized and sealed my hair. The lesson? Even when unexpected things in life happen, don’t forget to take care of yourself! Obviously, the health of my mother is more important to me than the health of my hair, but it is too easy to forget yourself in the equation of life. So, remember to treat your hair kindly ladies. Things may not always go as planned (as far as hair goals are concerned), but when in doubt, go back to the basics … MOISTURE! MOISTURE! MOISTURE! Shampooed my hair with a sulfate-free shampoo. Rollerset my hair with water (no product) to help my hair have plenty of body. Let my hair air dry for two hours and then sat under a dryer for 20-30 minutes to finish drying. 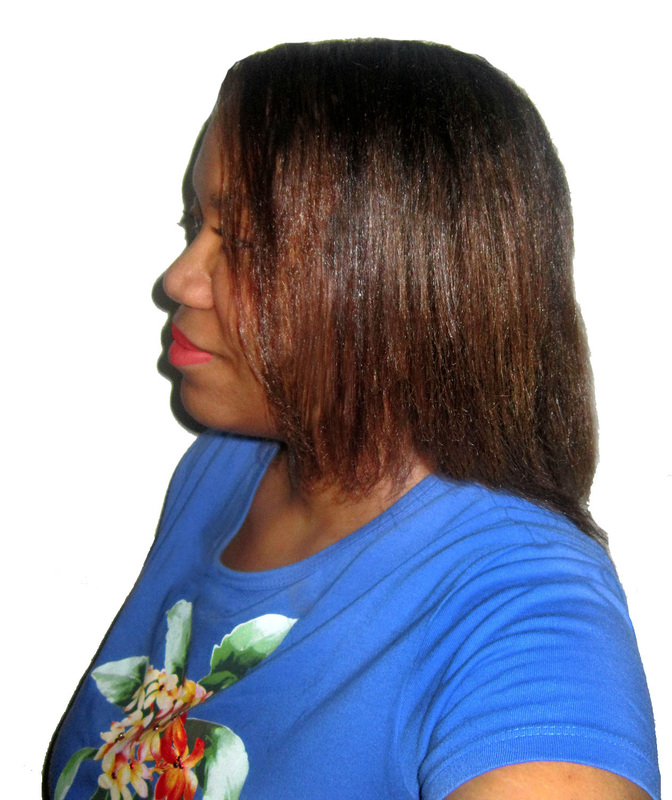 Spritzed each roller section with a heat protectant and flat ironed my hair using my Babyliss Nano Titanium 1.25″ flat iron. 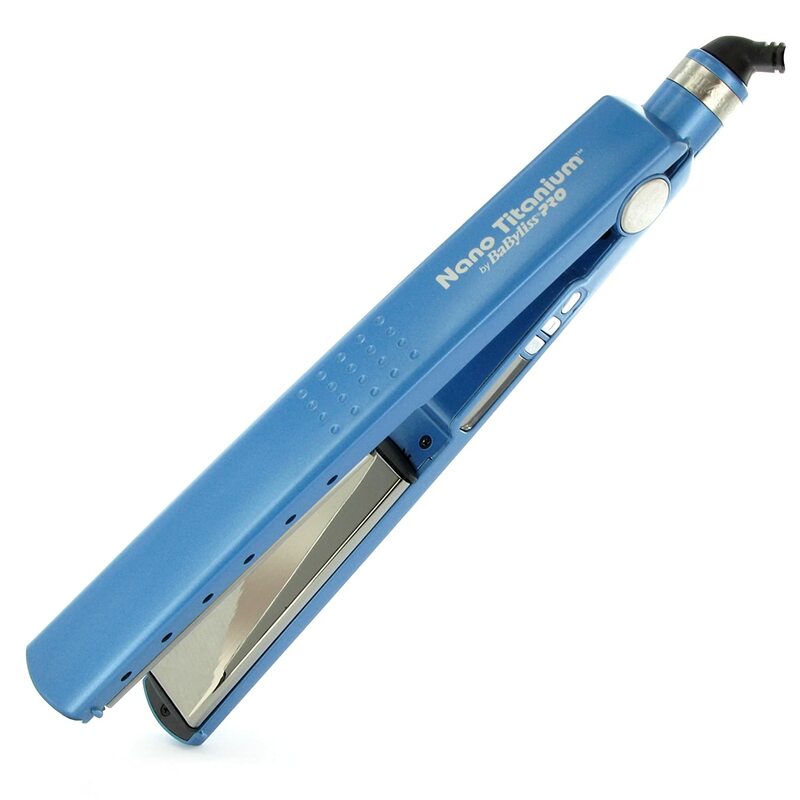 I didn’t want my hair “bone straight,” so I set my flat iron to 375 degrees. It took me about a leisurely hour to straighten all of my hair. 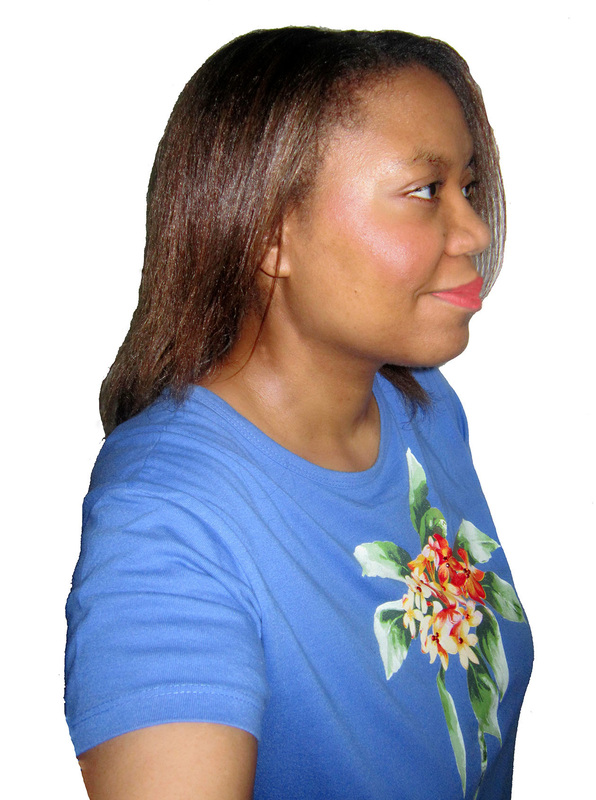 Because I live in a very humid climate, the next day (before wearing my hair out), I layered on some of my homemade shea butter glycerin hair styler, about a half of a teaspoon of castor oil, and then sealed it all in with raw, unrefined shea butter. This helped to prevent the humidity from reverting my flat-ironed hair without overly weighing it down. Prior to going to bed, I wrapped my hair. Because my hair is still too short to wrap around my whole head, I had to secure my wrapped hair as I went along, pinning it in place to prevent it from loosening as I slept. I added my satin bonnet and called it a night. 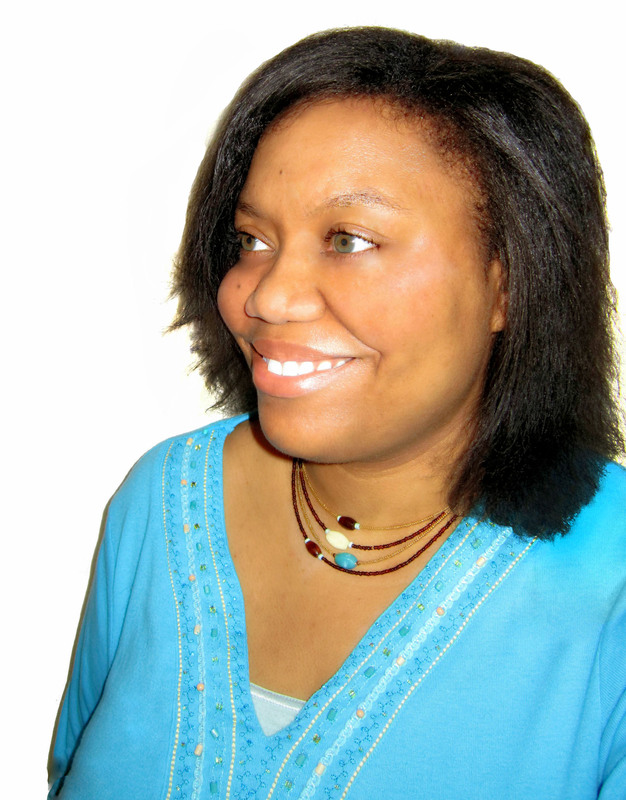 Throughout the week, after I unwrapped my hair each morning, I added more of my homemade shea butter glycerin hair styler, castor oil, and raw, unrefined shea butter as needed. 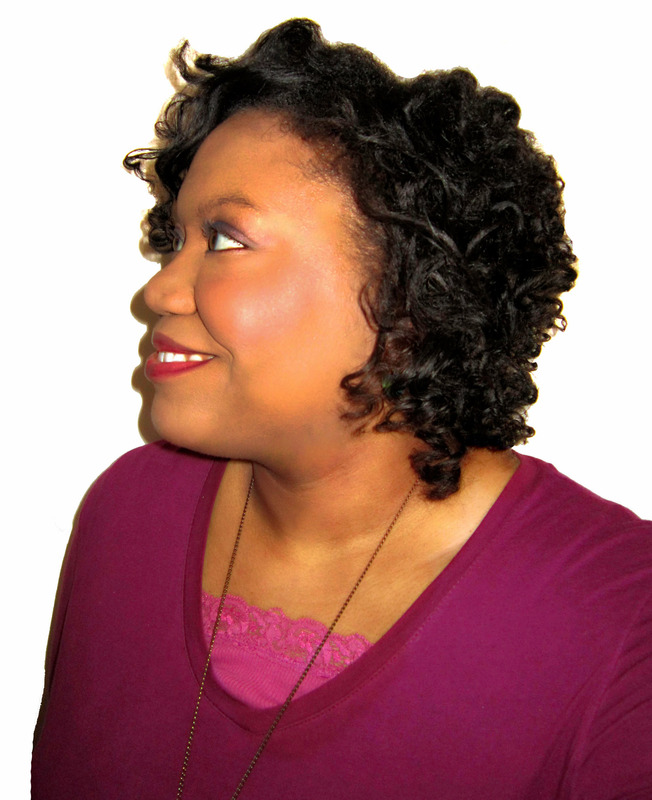 In these pics, my hair is 6.50″ – 7.00″ long.